Tabitha: Bride of Missouri is the 24th in the unprecedented 50-book American Mail-Order Brides series. An orphan since she was 10, Tabitha Phillips was raised by a cousin who resented her, and she went out on her own as soon as she could. When the factory where she was working burned down, she was forced to return to her childhood home under the scrutiny of her critical relatives. As an employee at the post office, Tabitha isn't supposed to become involved in the doings of her customers. But when one young man's heart could be broken by a thoughtless letter, she sees a chance to make a difference...for herself as well as for him. I liked this cute story. It shows a strong woman who knows what she wants in a man. Tabitha goes to the big city and returns home to her small town. She feels it has not changed but has she? Meghan Kelly does a fine job with her performance. This is a nice relaxing read. A little twist on the mail order bridge trope, this story is about Tabitha, coming home after a failed attempt to make it on her own. As she settles back into her job at the post office, she notices Thomas. He is waiting for his mail order bride to come to town. Tabitha's feelings for Thomas grow, and when circumstances arise that may cause hurt, Tabitha takes matters into her own hands. This story is a fun filled look at a time when things were simpler. No phones or internet, the mail took so much longer to process and send leaving a lot of time between interactions, just enough for Tabitha to cause herself a little trouble. There are quite a few secondary characters playing a big part in molding Tabitha. I found the pastor to be an interesting one as well as her cousin. Good plot, and fun characters made this a great listen! Meghan Kelly brings her wonderful voice to this story. I love her warm tones, and they work beautifully with the old western time. She gives each character their own identity with a specific voice creating a story easy to follow. Love her interpretations. My favorite so far in this series! Adams did a fantastic job with this story! One of my favorite parts in this story, and I will admit that I cried a bit, was when the town folks heard of their misfortune and came to help. I appreciated the love and forgiveness that happens and the building of relationships. Meghan Kelly was a great choice in narration because she has a gift in bringing each and every character to life. Relaxed & refreshing. This is the first book I've read/listened to by this author, It will be not be the last! The narrators presentation enhanced the refreshing quality and I will certainly be listening to more of her presentations! That phrase (Good Intentions) is often preceded with The Road to Hell; but if intentions are actually from the heart and sincere, can they really be evil? 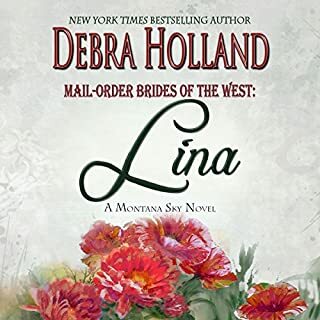 This is a delightful twist on a mail-order bride story which showcases our heroine but allows some of our side characters a chance in the limelight, in a warm, loving tale with a great deal of gentle humor. 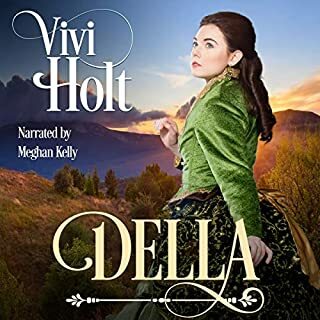 Narrator Meghan Kelly expertly characterizes each voice, bringing the audiobook to life. This is such a heart touching story and it has a great lesson for us all. Always tell your loved ones, I love you! Meghan’s narration of it was wonderful and she put me right into the characters! This was my first book in this series and I loved it! 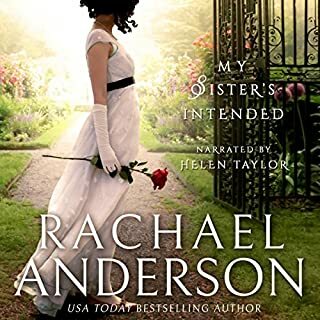 Amelia Adams wrote a compelling story about Thomas who has a mail-order bride coming and a young woman named Tabitha who left home for the big city but ends up coming back when her job there fell through. 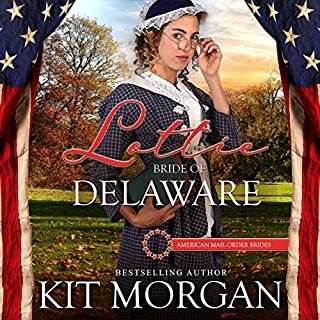 Tabitha isn't looking for love and Thomas is waiting for his bride, so a friendship between the two seems safe. Tabitha works at the post office and when letters from the mail order bride arrive with the potential to hurt Thomas, Tabitha takes action. I liked the wide cast of characters and the way the community was portrayed as a community that helps one another when someone in in need. The story was a well written and the narration only made it better. Character voices and pacing were spot on. Looking forward to more in this series! 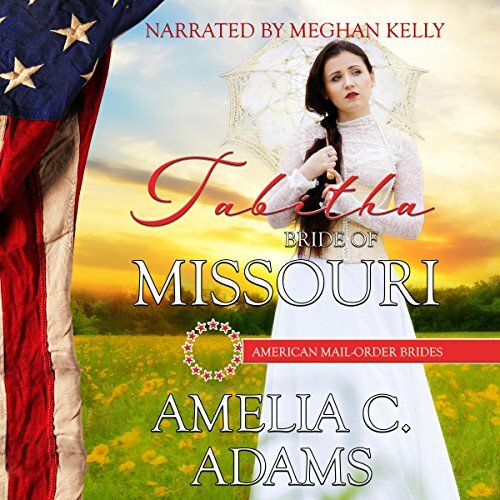 Tabitha: Bride of Missouri by Amelia C. Adams is the 24th book in the short story collection, Brides of America. This is an sweet romance set during the 1890’s that develops slowly. It is also a twist on the mail-order bride genre: although there is a mail-order bride in the story, this book focuses on a local girl instead. The story centers around 20-year old Tabitha who is recently returned to Atwater, Missouri after working in Massachusetts for the past few years. She is more than a little disappointed that she had no where to go after the factory she worked in burned down. Tabitha quickly resumes her old way of life living with her aunt and uncle and working at the post office. Tabitha befriends Thomas who is new to the area and who works at the local lumber mill. He is engaged to a mail-order bride to whom he sends a letter almost every day. Tabitha wonders why the fiancée never sends Thomas any letters in return, so she pretends to be the fiancée and writes him a letter. Not long afterwards, the fiancée returns all of Thomas’s letters to him breaking off the engagement. Tabitha, however, doesn’t have the heart to give them to him. The rest of the story is how Tabitha overcomes her deception, and whether Thomas forgives her. 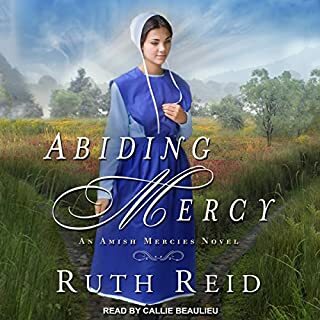 I listened to the Audible version of this story narrated by Meghan Kelly, which is simply wonderful. Meghan provides different voices for male and female characters, and she has great intonation and pace. I can’t wait to listen to the next audiobook narrated by Meghan. This sweet mail order bride story pulled me right away. I enjoy a refreshing historical romance and this story by Amelia C Adams fit the bill. Meghan Kelly brought the characters to life. She adds the right emotions and has distinguished voices for the characters. This book is a standalone listen. Tabitha is a nice novella about a young woman who is forced to return home after living an independent life and is expected to pick up where she left off two years prior as her aunt’s post office assistant. She does not like her old life, but sees nothing more to do. Only when a young man's heart could be broken by another woman’s rejection does she see that life just may be very good. This is my first audible by Amelia Adams. She is a good story teller and her characters are both sweet and cranky. I found myself both loving and disliking characters in this story. I look forward to more from Amelia! Meghan Kelly is no stranger in my library! I was pleasantly surprised how she slightly changed her “narrator ”voice for this audible. As normal, her pacing was great and her characters were fun to listen to. It was great!